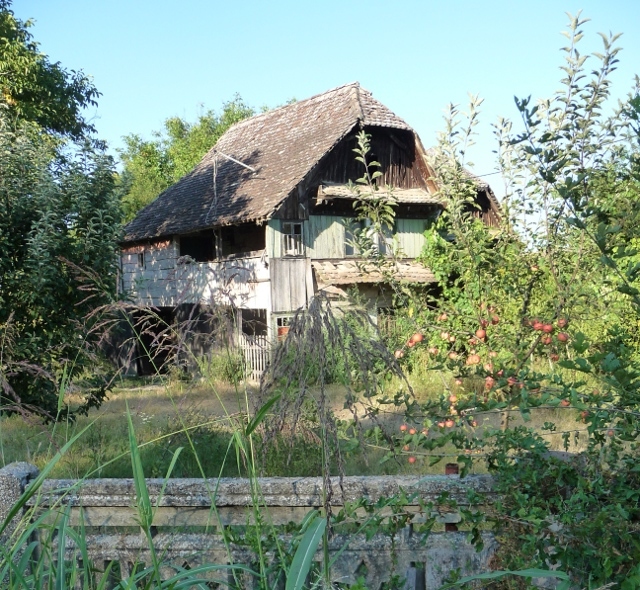 As we drove into the area, we reached the village of Čigoć, famed as a “stork village”. Throughout the village, the tops of chimneys, barns, telegraph poles – everywhere – there were nests. But not one was occupied. Traditionally, the storks leave for their winter migration on St Bartholomew’s day (August 24th). This year, though, they’d clearly heard we were coming – and left a couple of weeks early to avoid us. Typical! We headed through the park, seeing what we could see – and liked what we saw. Over a lunch stop in a field next to where a small tributory flows into the river itself, we had a think about the best way to do the place justice. Across on the other bank of the stream, we watched a small, older and probably ex-army 4×4 truck converted into a camper being half-hidden into the trees, ready for a bit of semi-stealthy wild camping. Wild camping’s illegal in all of Croatia, but particularly so in natural reserves – and whilst it would have been a great spot in many ways, we thought it a bit too visible, but each to their own. It did confirm our desire to explore the park in more detail, so we found the nearest campsite (a few pitches at the back of a small restaurant) and unloaded the bikes. The afternoon sun was very hot indeed as we headed along the top of a levee, the parched earth below us on both sides showing no signs of the reason for the levee’s existence. A huge field off to one side contained what appeared to be a hundred or more horses, looking almost lost in the vastness of the scorched grass, more like a herd of antelopes in the African veldt. Eagles soared and circled overhead, watching intently for some small mammal to run for cover. Eventually, we found our way back to the road, and turned back towards base. As we headed through several small villages, the area’s traditional houses, built of local oak which withstands wet rot exceptionally well, stretched along the inland side of the road. The amount of love and care that went into their construction is clearly evident in the quality of the detail. Unfortunately, a large number are derelict now, the residential space on the first floor accessed by an external staircase (so that a boat can be tied alongside, no matter what the water level) and intricate carving clearly unappreciated. Left empty and unmaintained, windows and doors flapping blindly in the breeze, they sit alongside their replacements – generic concrete-and-blockwork houses with no character whatsoever, despite their undoubted practicality benefits. As we headed out in the morning, we saw no sign of the wild-campers and their truck – had they left early, or had they been moved on? 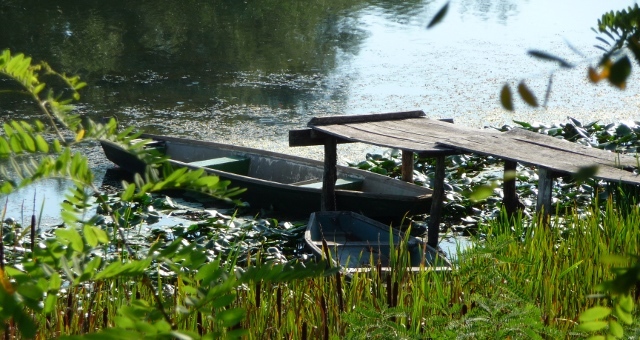 At the other boundary of the park, the village of Jasenovac has a brutal past. During WW2, Croatia’s home-grown fascist government were enthusiastic participants in Hitler’s “final solution”. 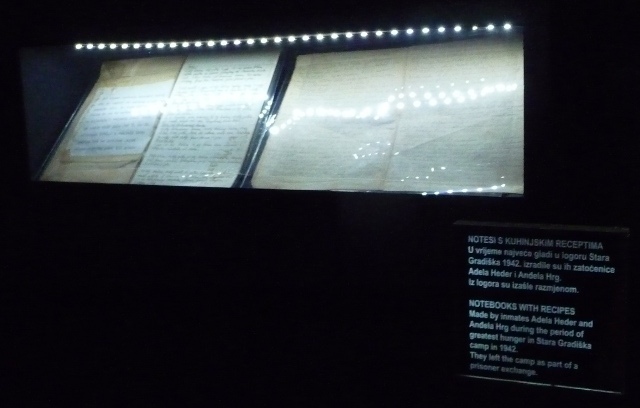 They decided to add to the list of groups they were targetting, though, with almost half of the nearly 90,000 names known to have been murdered in the camp belonging to Serbs. Not only was Jasenovac one of the biggest concentration camps in Europe, but it was the only one not actually run by the Germans themselves, regardless of which country the camp was located in. Nowadays, the site of the main camp is a memorial park and meadow, bordered on one side by a main road, but with several humps marking graves and hollows marking the locations of huts and other structures, with a huge concrete sculpture as the main focus. Off on one side, there’s a steam locomotive with several wooden freight trucks as used to transport the inmates to the camp. The museum itself is free to enter (just as well, since the staff didn’t seem particularly inclined to even acknowledge the interruption that a couple of visitors posed to their ciggy break and chat), and extremely well done, containing a mix of the historical background, daily life in the camp, and the inmates themselves – both the stories of individuals who died, and videos of some of the survivors telling their own tales. 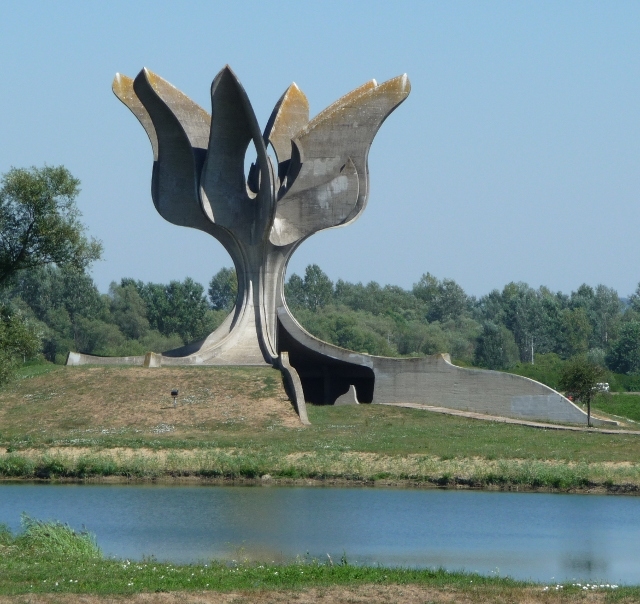 History repeats itself, of course, and the conflict of the early 1990s left another mark on Jasenovac. The architect of the memorial sculpture, Bogdan Bogdanović, was mayor of Belgrade in the 1980s – until disagreements with the soon-to-be-notorious Slobodan Milosevic led to his becoming a dissenter. 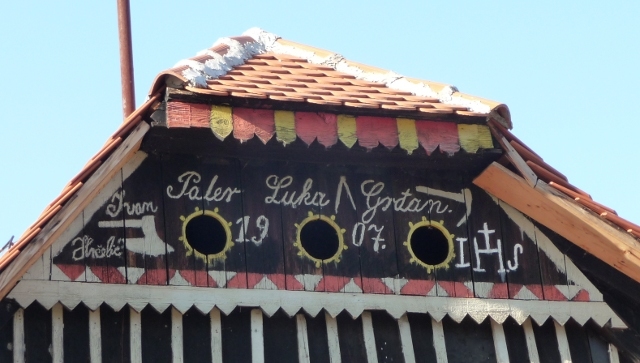 More directly, being on the main route to the Serbian border, and right on the Bosnian border, the village was heavily hit – bullet holes still mar many of the buildings, although the church has been rebuilt after being blown up. With that in our minds, it was time for us to complete our tour of the ex-Yugoslav countries, and head east to the border with Serbia. This entry was posted in Art & Culture stuff, By Country - Croatia, Travel stuff, Wildlife stuff. Bookmark the permalink.